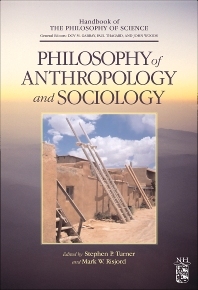 This volume concerns philosophical issues that arise from the practice of anthropology and sociology. The essays cover a wide range of issues, including traditional questions in the philosophy of social science as well as those specific to these disciplines. Authors attend to the historical development of the current debates and set the stage for future work. University of South Florida, Tampa, U.S.A.
Dov M. Gabbay is Augustus De Morgan Professor Emeritus of Logic at the Group of Logic, Language and Computation, Department of Computer Science, King's College London. He has authored over four hundred and fifty research papers and over thirty research monographs. He is editor of several international Journals, and many reference works and Handbooks of Logic.